Join us at Clapton Craft this Friday! Comments Off on Join us at Clapton Craft this Friday! 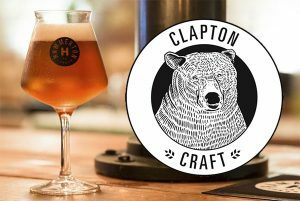 Join our very own Eddie at Clapton Craft in Kentish Town this Friday from 5pm. He’ll be rockin’ up with some delicious Hammerton treats to share, and ready to wax some serious beer lyrical. So make sure you head over, try some delicious beer and kick your weekend off in the right way!